Obviously, this is a field that was virtually non-existent even ten years ago. 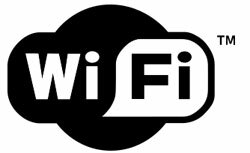 A number of Wineries, particularly those with more extensive facilities are now offering complimentary WiFi to their patrons. The advent of web enabled smart phones and tablets has rendered this some what redundant but occasionally the need for prolonged connection to the Internet can make this a useful benefit.